Sophias Style has so many styles and color of dresses for little girls it will really surprise you. If you are looking for an Easter Dress or a flower girl dress, or even fancy dresses for pageants and such, this is the store to go to. The shipping is fast and they have dresses from newborn all the way to pre teens. 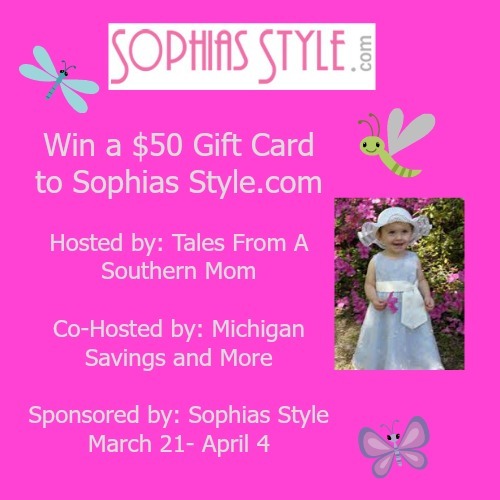 Sophia’s Style is sponsoring a giveaway for one reader to win $50 in store credit to be used on anything in their store. You must be 18 or older and a legal resident of US or Canada! Enter below and Good Luck!